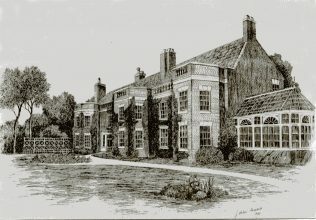 The photo is of a drawing of Sherwood Hall done by J Michael Hargrove a Texan Artist done for the Tweedie family that lived at Sherwood Hall in the 1940’s. 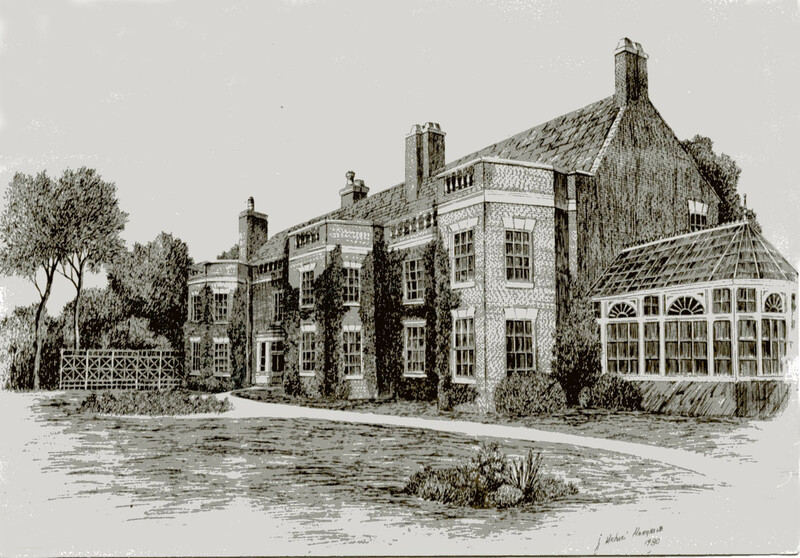 In the 1960’s it became Saville House School, a private day and boarding school which I am told, had previously been at Henley House (St Marks Church) Mansfield. Oral history says there was also a connection with Sutton-in-Ashfield in the early days of the school. Major David Vaughan is understood to have been the Principal, also Mrs Floyd. Researching the history of the school is just one part of the ‘Looking Forwards, by Looking Back’ project that Abbey School has just acquired a lottery grant for. The project is focused on investigating the History of Sherwood Hall by working alongside local people and organisations such as the Forest Town Heritage Group. Saville House School eventually moved to Mansfield Woodhouse. I was at Saville House School from about 1955-59 and believe it was in this building. My memory was of a very old house, with dark corridors, and the bay windows of the drawing definitely ring a bell. It was a private school in which you could go all the way from primary to A level, and had a smart red and grey uniform. I’m sure there must be photographs, I’d love to see them.